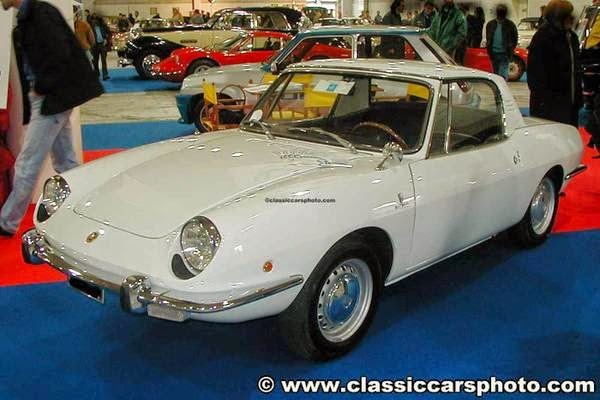 There isn't much in common between an R107 SL Benz, Honda S2000 and Fiat 850 Spider, except that they all actually look cooler with a hardtop in place of the folding top. That and they all have 4 wheels. 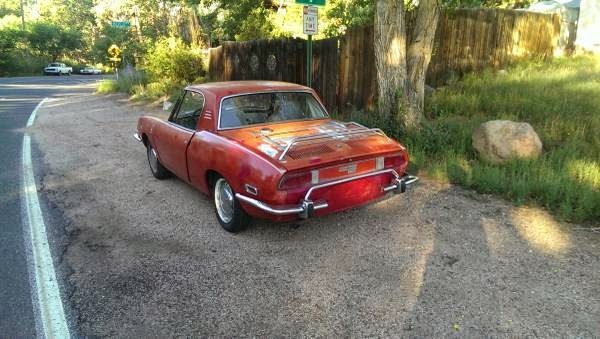 On this Fiat, the hardtop isn't an aftermarket piece that you'll find on something like an S2000, but it was designed by Bertone so it looks sharp. The rest of the 850 Spider was also designed and built by Bertone from 1964 to 1973, and is known for its razor sharp handling and riding lawnmower rivaling straight line performance. 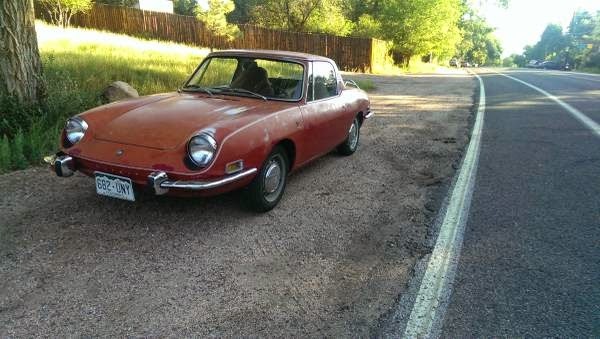 Find this 1973 Fiat 850 Spider with hardtop offered for $2,000 in Colorado Springs, CO via craigslist. Tip from FuelTruck. The 850 Spider shares its mechanical parts and engine with the 850 sedan, so that means the 843cc (and 817cc for US market) inline-4 is also used. Expect 40ish horsepower and some torques to push around the sub-2000 lb car. You'll look good going everywhere, which is good because you'll spend a lot of time in transit. 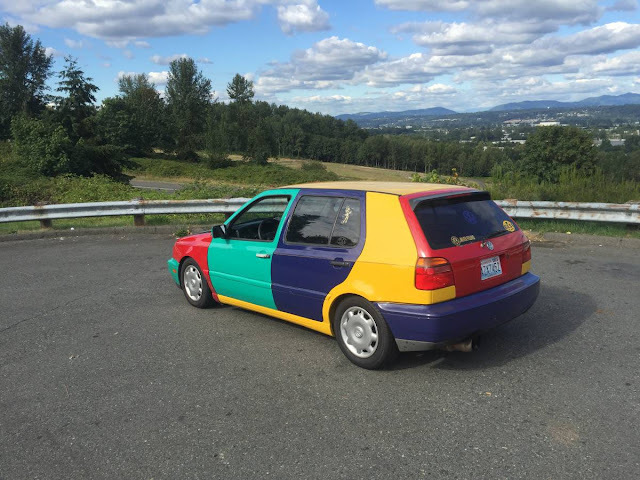 This car is described as a nice running/driving example with a recent tune up by Fiat Rescue in Denver, CO. Mechanically good running cars with nasty exteriors are often going to give you a better owner experience than an amateur restoration or a pretty pile of junk...but this is a Fiat, so you should always check the underside thoroughly to understand the extent of the rust. Sheer pedantry here, but as the owner of a 1972 version I am legally obligated to point out that, despite the name, the Fiat 850 Spider was never sold in the U.S. with the 843cc engine. The more valuable 1966-67 covered headlight versions* had the emissions-cheating 817cc mills, whereas the later versions (yclept "Sport Spider" to distinguish them from their lesser siblings) had the mighty 903cc lump throbbing under the rear lid. Curb weight is something ridiculous like 1600 lbs so it certainly is nimble, if about as safe as riding a papier mâché moped. In the rain. Driving it involves being at WFO throttle 90% of the time and grinning maniacally. Thanks for pointing this out -- regrettably, I'm not an 850savant, and my interweb searching for actual engines used in the US market 850 spider was fruitless, so I just fudged on the listing by mentioning both 843 and 817 engines. Great stuff about the window lift mechanism -- this is why a large and intelligent commenting base is important to a site like DT. Sadly, I am neither large nor intelligent--which is probably how I ended up in a Fiat 850 Spider in the first place. I was going to say that the large and intelligent ended up in that Miura, but I suspect they wouldn't readily fit there either. Daytona? 300SEL 6.3? Oldsmobile Vista Cruiser? I disagree with Nicholas. The eary covered headlight cars did come with the 843. The federal emissions standard for vehicles went into effect in 1968. It was then that Fiat realized that they could skirt emissions law by installing the 817 (under 50cid) as Nicolas said the 903 came out with the introduction to the sport spider in 69. I have both a 67 and 68 spider. I think that car poohs fudge ! Alfettaracer is entirely correct; I was mistaken. Covered headlight spiders could be had with the 843 cc motor prior to 1968. Mea culpa! JB1025 is entirely correct; I was mistaken. That car poohs fudge!